A Day So Slow won The Juror's Award at the Whistler House Museum's juried competition in 1998. "3eme Festival de l'Ete Indien" that was held in October 1999 in Andrezieux-Boutheon, France. 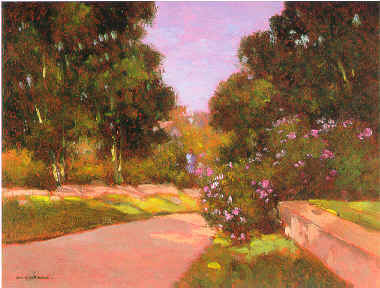 The inspiration for this painting came from a street close to Monique's home in Nashua, NH.